If you have ever wanted to experience the game at Lord's, here's your chance. Get ready for an action-packed, special day out at the Home of Cricket. Lord’s cricket ground will stage one of the highlights of the domestic cricket calendar this Saturday 30 June with the final of the Royal London One-Day Cup. England’s Alex Hales played one of the most memorable innings in the long history of county cricket finals at Lord’s when he smashed an unbeaten 187 for Notts Outlaws last year to set up a thrilling victory over Surrey. The Outlaws were one of six counties to qualify for the knockout stages of this year’s competition after a total of 72 group matches took place throughout May and June. Lord’s has been the goal for all the counties, with the final line-up to be determined by semi-finals at Worcester on June 17 and Hampshire’s Ageas Bowl the following day. 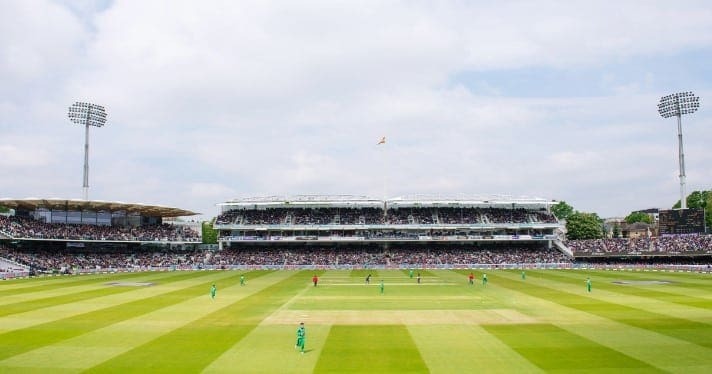 Tom Harrison, the ECB’s Chief Executive Officer, said: “A Lord’s final is always a special occasion for the players, officials and supporters of the counties involved, but also provides a great opportunity for cricket and sports fans to enjoy a summer day out at Lord’s. The 2018 Royal London One-Day Cup Final takes place at Lord’s this Saturday 30 June. Tickets are priced from just £20 for adults and just £5 for under-16s and are available to buy online now at www.lords.org/final.